The sixth volunteer garden help day at Lili`uokalani Gardens in Hilo, Hawai`i is scheduled for Friday, December 19, from 8 a.m. until noon. “Friends of Lili`uokalani Gardens, East Hawai`i Master Gardeners Association, Moku Aina, Moku Loa Chapter Sierra Club, UH-Hilo exchange students, Urasenke Hilo, and Fukushima Kenjin-kai are among groups who have participated this year in helping our County at this jewel of a park,” said garden enthusiast K.T. Cannon-Eger. For further information, contact Cannon-Eger at (808) 895-8130. … and now for something related … a video and news report from NHK on the conference held by the North American Japanese Garden Association in Chicago in mid-October. Please click on the link. 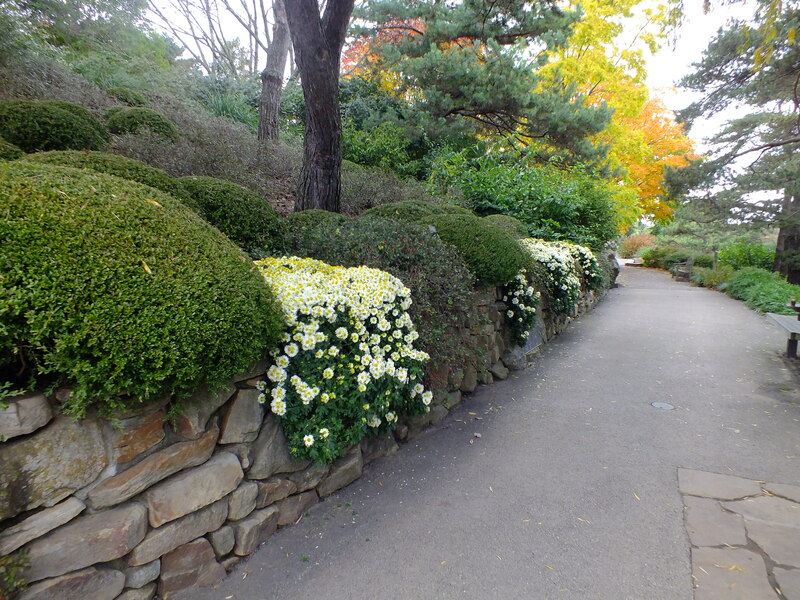 Chicago Botanic Garden features chrysanthemum displays in the fall at the Japanese garden.